Where the foothills of the Rocky Mountains meet the Great Plains, you will discover one of the world’s oldest, largest, and best preserved buffalo jumps. The Jump bears witness to a method of hunting practiced by native people of the North American plains for nearly 6,000 years. 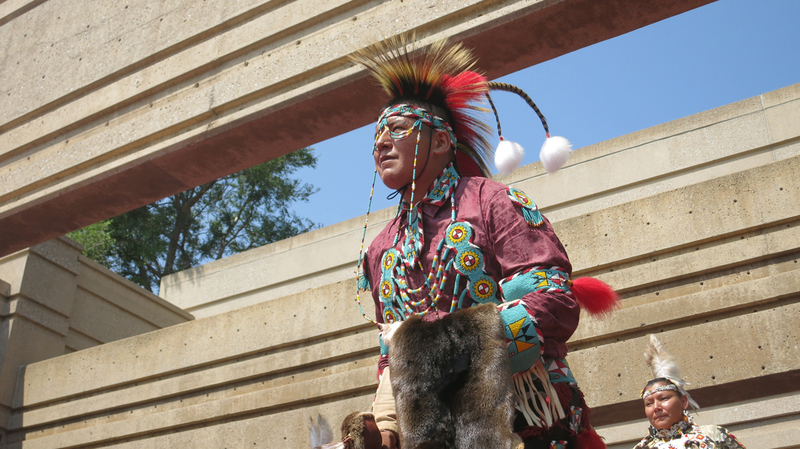 Today, Head-Smashed-In Buffalo Jump World Heritage Site & Interpretive Centre is recognized as a premier Aboriginal Tourism destination in western Canada. The award winning interpretive centre was built into the hillside to blend into the natural sandstone cliffs and opened in 1987. The centre features 5 levels of exhibits, an 80 seat movie theatre, a 60 seat cafeteria and a gift shop displaying authentic First Nations arts and crafts.